You’ll have to look up how to harvest and dry the seeds — some will be ready and dry to begin with (mostly flower seeds), some will need to be dried and cleaned before packaging them. 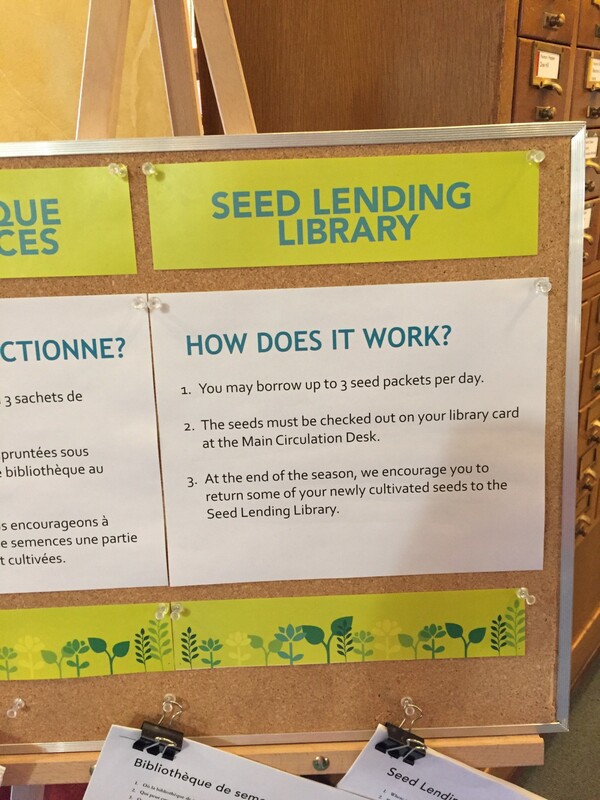 But this is also an education project so that people learn how to save seeds and grow from them again. 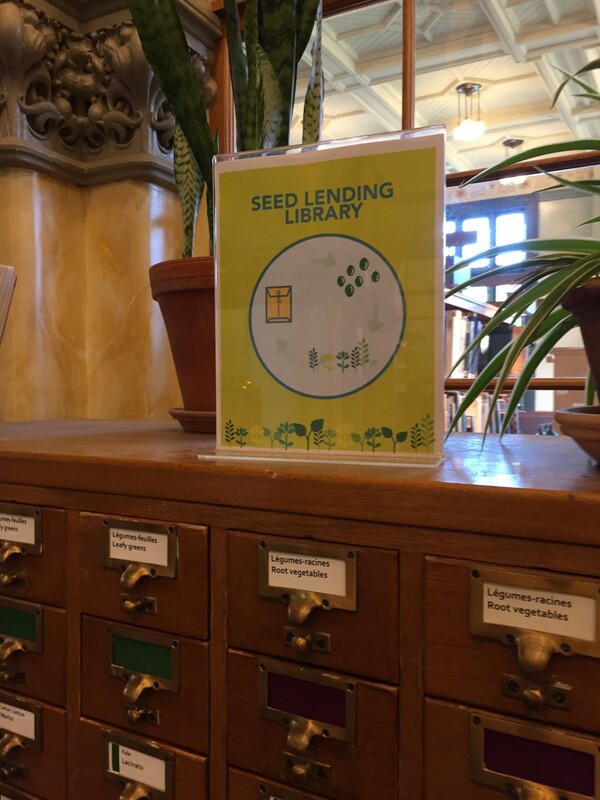 The library has also hosted some workshops on this since it got the seed library. 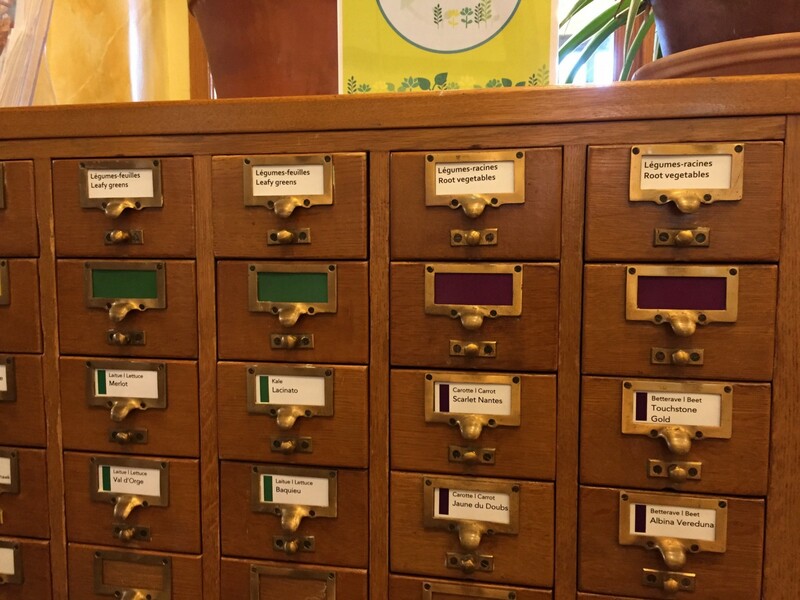 If you can’t afford the library membership (which comes with free books and audio/visual collections! ), make friends with someone in Westmount if you want to take advantage of this offer. 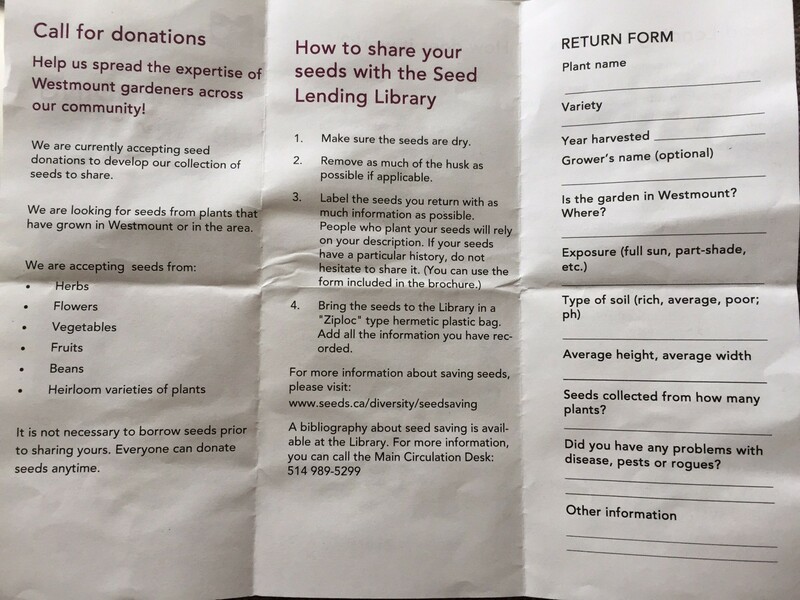 Or maybe you can help recreate this seed sharing system in your own library if they haven’t done it already.